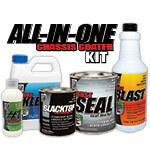 Our large 3-Step System kit includes enough products to Klean, Blast, and Seal the entire underside of your car or truck, or any 100 sq. ft. area with 2 coats of paint coverage. Convenient kit at a tremendous savings! 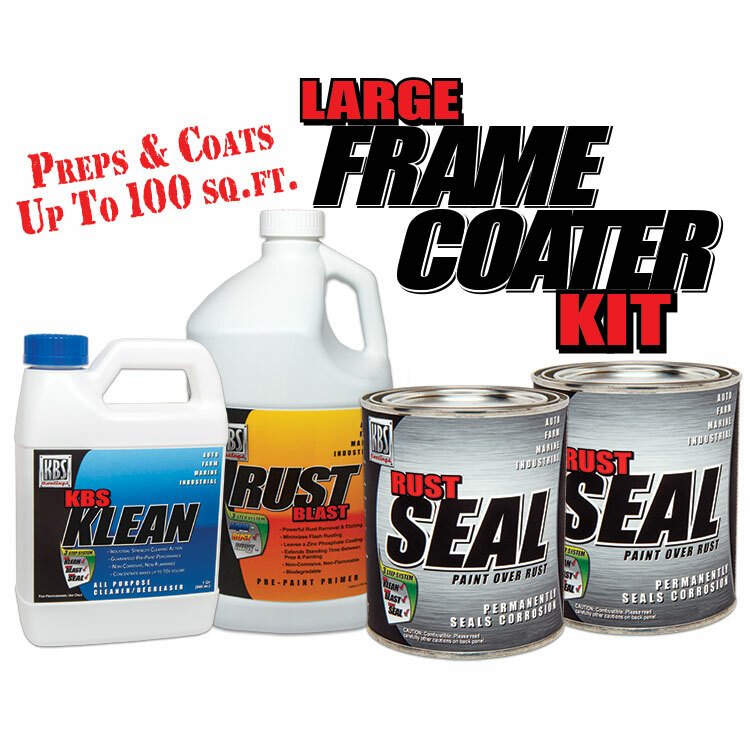 The All-Inclusive KBS Large Frame Coater Kit contains everything you need to clean, prep, & apply 2 coats of RustSeal on up to a 100 square foot area. 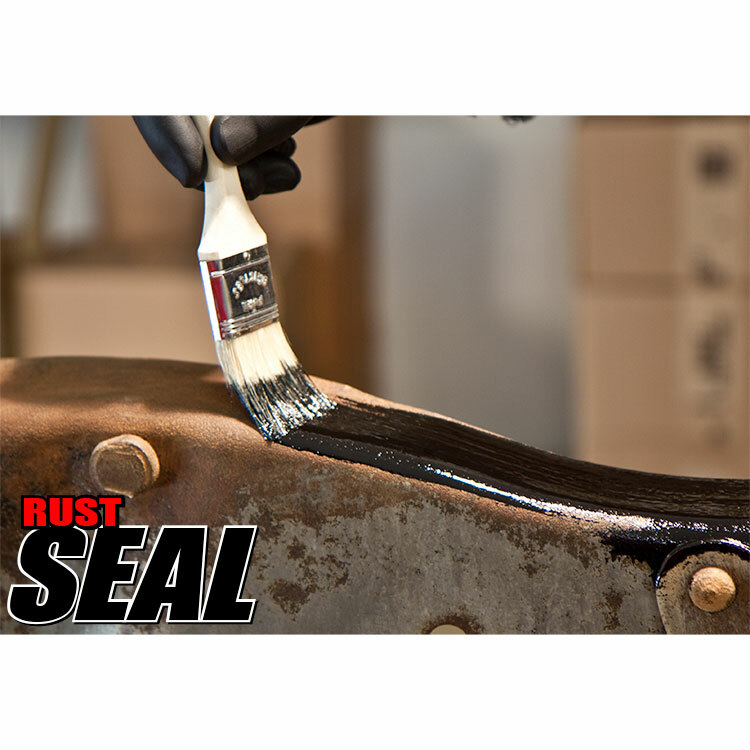 KBS Coatings’ 3-Step System of RustSeal (a rust preventive coatings), KBS Klean (an industrial strength water-based cleaner / degreaser) and KBS RustBlast (a powerful rust remover / metal etch) is the most effective rust and corrosion prevention system available today. 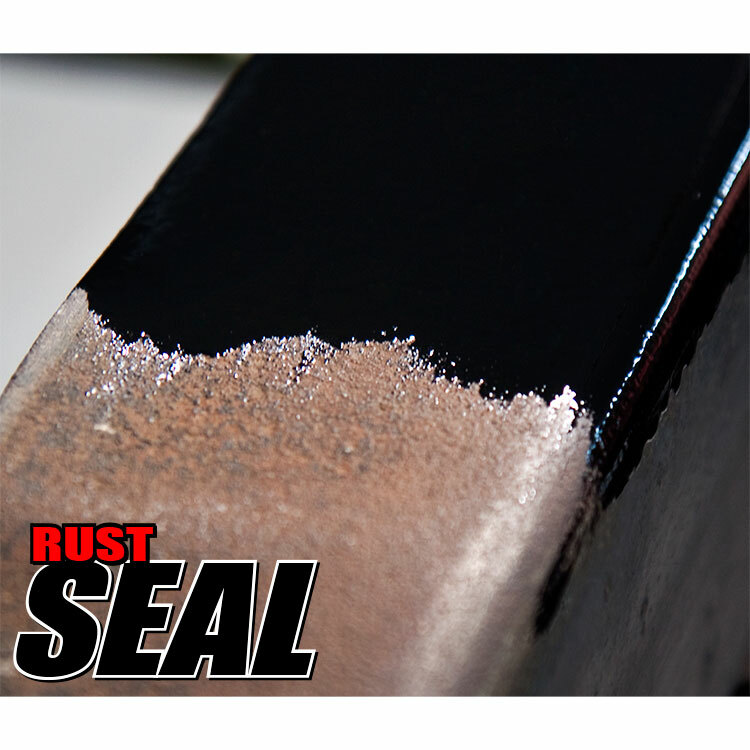 RustSeal chemically bonds to bare metal to form a permanent, moisture resistant finish that is flexible yet won't crack, chip, or peel. 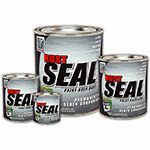 Because RustSeal is moisture-cured, this superior coating is made even stronger by continued exposure to moisture. 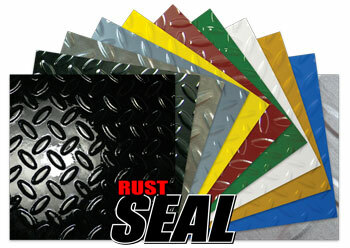 RustSeal is also highly resistant to some of the most aggressive chemicals such as acids, alkalis, salts, abrasive materials, fertilizers, coal dusts, solvents, oils, and other refined petroleum products. Convenient Kit - Comes with Everything You Need! Want to give a shout out to KBS Coatings on their 3 step under coating paint. I was able to do this after their KBS Klean and RustBlast products. This was a great product. I used it for the inside of my Jeep Wrangler. So far after only about 1 month the paint has held up very well and gave the interior a nice new look. The only reason it doesn't get 5/5 stars is because if you don't get a really even coat it'll dry different shades of black or even mat. On the second coat we used rollers (used brushes on the first) and the color came out very uniform and nice. Perfect for the restoration of rusty metal. Great products, have been using them for years. 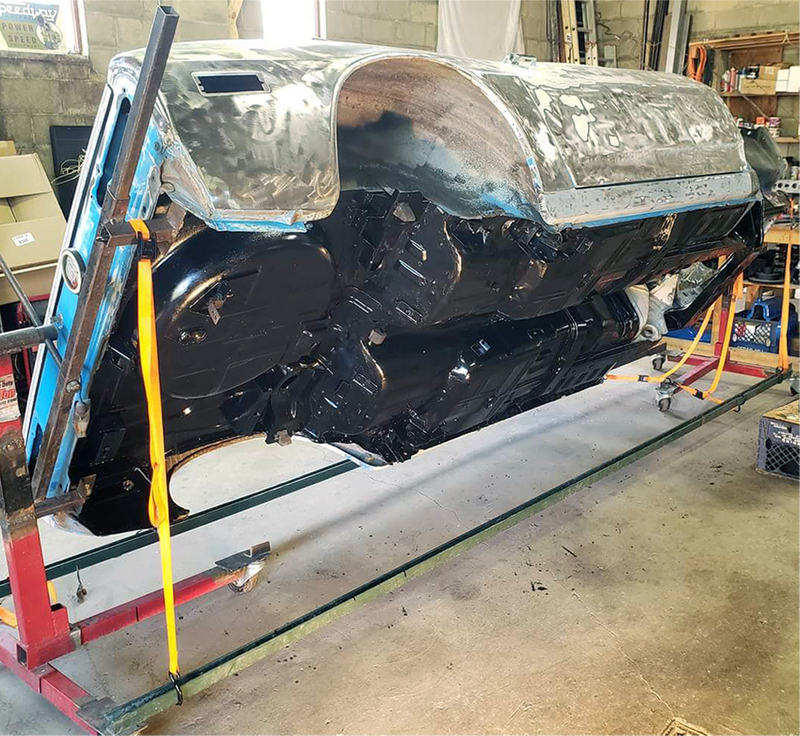 And now starting another classic car restoration that will again include using them. Great comments when people see the results, especially the before and after pictures. Great Price, Easy To Use and Great Finish! Liked that the product arrived quickly and did exactly as described. I was also absolutely impressed with the amount of rust the Rust Blast removed without me having to do nothing more but spraying and washing off. The Seal was brushed on easily, was self leveling and left a glossy smooth finish. 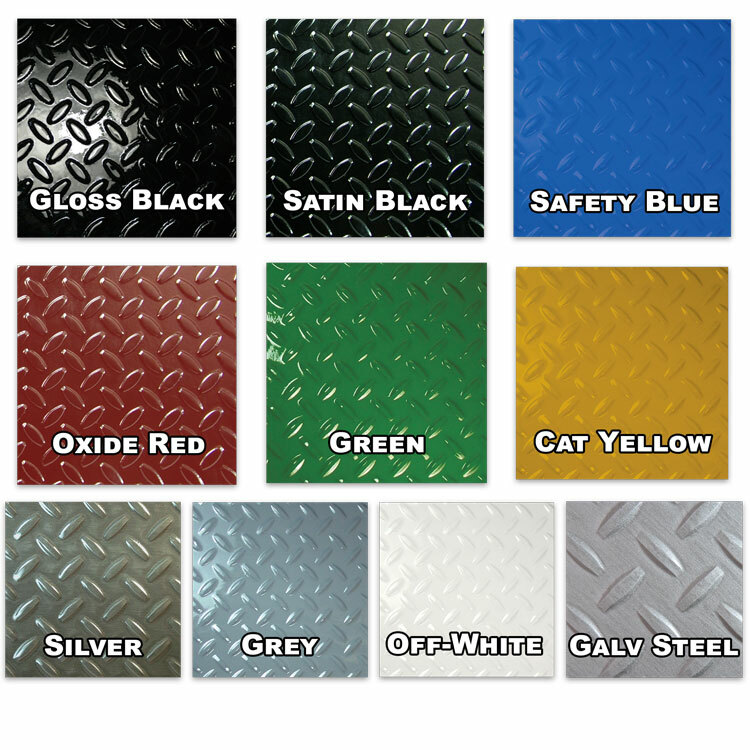 KBS is a great product for any DIY project who wants to accomplish a factory finish for a fraction of the price. Used this on my Highlander years ago and still holding strong. There’s a lot of prep work but it’s worth it in the end. I got the frame coater for my Tundra because I didn’t like the coating Toyota put on the frame. Again a lot of prep work but the results far exceed Toyota’s wet coat. Only wish they had a cavity coater with the Rust seal in it but on a larger scale. We’ll see how it works out on this one. I have used the Frame Coater kit several times in the past and it is the perfect amount for the frame. I wanted to do the frame and underside on my F150 so I ordered this kit to get more stuff. Great deal! Very happy. Provides a great hard finish. Would buy again. I used product to coat two 130 inch 3x5 rectangular steel tubing that is going to be an aquarium stand for a 300 gallon aquarium. I was in need to protect as much as I can against corrosion from salt water. Q: Will this paint over the paint that is still on the trailer frame as well? I have a trailer that use to be white, there are sections that are white still with rust spots. Can I just brush this kit over it? A: Yes. Simply wire wheel the trailer frame to get rid of the loose paint. Clean the entire trailer frame with KBS Klean. Etch all of the bare metal spots with RustBlast. Then brush on the 2 coats of RustSeal.